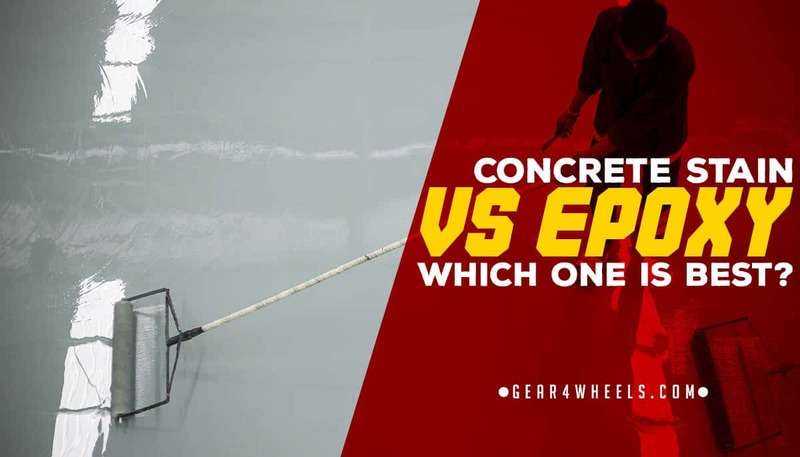 Concrete stain vs Epoxy—Which One is Best? Yes, your concrete floors can look as modern and stylish as any other floor coating. But we know it’s a daunting decision to make. You don’t want to ruin your floors and then have to start over, right? 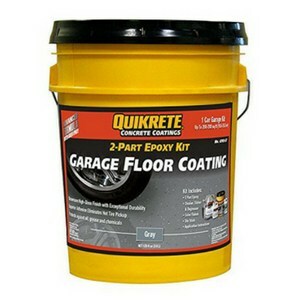 Epoxy is a resin that is applied to your concrete floors as a liquid. When dry it forms a protective layer that enhances your floor’s durability. It’s therefore not only decorative—yes, it looks amazing—it is also practical. Concrete stain can be either an acidic solution that results in a chemical reaction with the concrete. 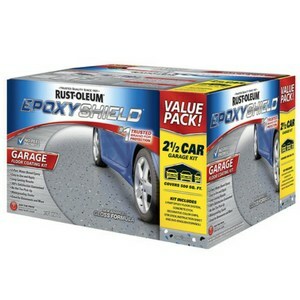 Alternatively, you can choose an acrylic version which adheres to the concrete but penetrates deeper than normal paint. You can see the focus with epoxy is on protection while staining is more about aesthetic features. Therefore, epoxy is much more relevant in industrial spheres while your new renovation project at home will benefit from staining. But you may have unique requirements. Let’s look at concrete stain vs epoxy in detail to determine exactly which one you’ll need. We know many features play a role in your building or decorating decisions. You need to balance a budget and benefit from certain practical features. So let’s discuss them in detail to help you get the best floor covering. We tested both products in similar environments and found them to perform as discussed below. It won’t help if the covering you choose requires too much product to get the job done, right? This isn’t a budget friendly option. So how did these products perform? Concrete stain can be sprayed onto floors. This may cause some product to be wasted. Painting the stain is an alternative option, though you should beware of adding thick layers that can once again cause wastage. You can cover 200 ft² or more with only one gallon of stain. This is especially relevant to water-based stains. The value of concrete coverings lies in how long they stay in a good condition. You don’t want your floors to chip, crack or show wear and tear soon after you put in the effort to stain and cover them. These two products differ extremely in how they perform under pressure. Concrete staining is much more a decorative feature than a protective one. When used in high-traffic areas or where heavy machinery is used the layers quickly show damage. You also run the risk of wear and tear over time if you don’t look after your floors. To prevent this, you must apply new sealant at regular intervals. It’s therefore much less durable than epoxy. Epoxy is a favorite floor covering in many industries and we can see why. The resin layers don’t give way under a lot of weight, no matter the frequency of the traffic using the area. It even causes the cement flooring to keep its form for longer when compared to a section that has no covering at all. The deduction is that epoxy adds strength to the floor and helps keep the cement particles together. And it’s strong enough to improve the floor’s ability to handle weight and pressure. Here’s why industries can put their trust in this substance: It can even resist the effects of acids and chemicals. 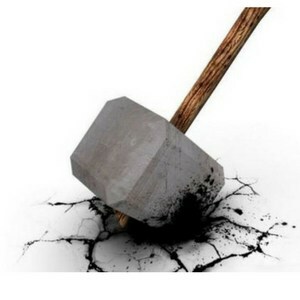 While concrete on its own is strong, it usually gets damaged when dangerous substances are spilled. Prevent this by picking a resin with a chemical resistance feature. But how easy is it to apply your selected floor covering? If it requires too much effort or labor costs it’s not a wise option, right? We looked at how easy and time consuming these processes are. You must be meticulous when applying concrete stain. Taking short cuts will result in a less neat floor. Stains are transparent and will usually show the concrete beneath. Make sure you remove all residues that were on the floor previously. After this you can spray or paint the stains. If you’re planning a certain pattern you have to do it by hand with a brush. Afterwards you can spray down the area with water and add a protective coat when it’s dry. It takes more detailed working and preparation than epoxy floors. The benefit of epoxy is how easy it sticks to cement particles. You don’t have to worry about the product coming loose after it dries. It will adhere to the floor as long as you cleaned the floor thoroughly. 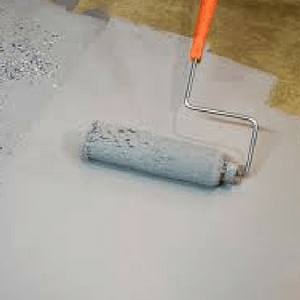 Epoxy products usually require you to first add a primer and allow it to dry. Then comes an epoxy coat that requires a day of drying. All layers can be applied with rollers. Afterwards—usually a few hours—you add the finishing layer. Epoxy liquid will follow the contours and changing levels of your floor, no matter the condition. When it hardens you’ll have a brand-new floor. What you won’t like is how long you have to wait before using the area. It takes a while to cure some of these floors. Budget questions are never simple. To determine how valuable concrete stain vs epoxy will be for you, you must consider short term and long term expenses such as installation combined with future maintenance. A concrete stained floor usually only requires water during cleaning. The smooth surface won’t hold dirt or grime. However, if you’re concerned about aesthetics, you’ll have to polish these floors often. If you don’t, they’ll lose their luster. Sealers also need reapplication to prevent the top layers from wearing away. You can see maintenance is quite expensive and requires much labor. If your floor only handles limited traffic of a light nature you won’t have to replace it often. Because staining isn’t an expensive option—when compared to resin—you’ll find it more affordable than epoxy. But keep in mind you’ll have to replace or repair your floor often if you choose this option for high traffic areas. Yes, you’ll have to pay more for an epoxy floor. When it’s time for a new covering you’ll also have expenses for first removing the old resin layers. But in high traffic areas, these floors will stay in a good condition longer than an average floor covering such as stain. This makes epoxy too expensive for most residential options, but the only covering you should consider for industrial use. In terms of maintenance water is once again sufficient in most instances. The resin may have a build up over time which will require detergents. But no specialized products are needed. 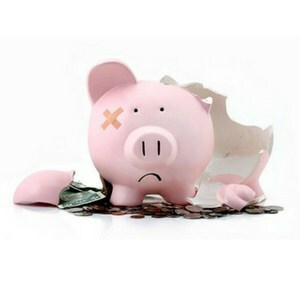 Your maintenance costs won’t be adversely affected. How easily—and for how long—will these two products cling to your floor? Any dust can prevent the stain from adhering to the floor. The top layers also wear off easily. Yes, these stains can have chemical reactions with the cement particles, but even slight friction causes them to loosen their hold. Resins are designed to adhere to your floors. Taking these layers off is actually a tough job. This adherence is what adds strength to floor, making it more durable. For a quick look at the base pros and cons of each model, look at the table below. We’ve compared the main points of each type of pressure washer for convenience. Requires regular maintenance such as sealant. More floor preparation needed before installation. You can only stain concrete days after that concrete is lain. This implicates building timelines. You can see that these products’ benefits are situation specific. No, epoxy is not a wise option when you’re working on your home. It’s too expensive to warrant its use. But for your business or factory, you can’t consider anything else. It will serve you well with relatively little maintenance in the long run. That’s what you need in business. But your home deserves the shiny, authentic look a concrete stain can give you. And when you get into the routine of polishing and resealing it, it won’t be too much effort to keep your home looking amazing. It’s great that epoxy concrete floors stay in better condition for longer like you talked about, even if they cost a little bit more. We are looking to get the concrete in our garage coated so that it will last a lot longer, and I think epoxy coating would be perfect because we have a lot of foot traffic going through the garage from my kids and their friends. I’ll have to find a good company that could help us out before we move in so that we never have to worry about our concrete wearing down too quickly.